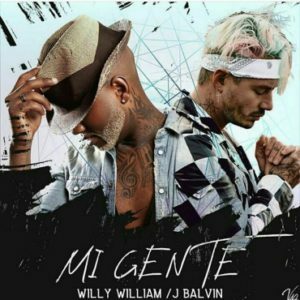 J Balvin and Willy William’s “Mi Gente” has reached the No. 1 spot on Spotify’s global chart, replacing Luis Fonsi and Daddy Yankee’s “Despacito,” featuring Justin Bieber, which spent 14 weeks at the top and now drops to No. 2. “Mi Gente” reached 4.3 millions streams (Aug.) and becomes the first fully Spanish song to be the top of the chart, reports Billboard. On the Billboard charts, the single – released just four weeks ago — has so far peaked at No. 2 on Hot Latin Songs (Aug. ).“With ‘Mi Gente’’s new #1 milestone, it’s safe to say that Latin music is not just having a moment, but solidifying itself through a new wave of genres, styles and cultures,” added Rocio Guerrero, Spotify’s head of Latin culture, shows & editorial.